I originally wrote this post two years ago. 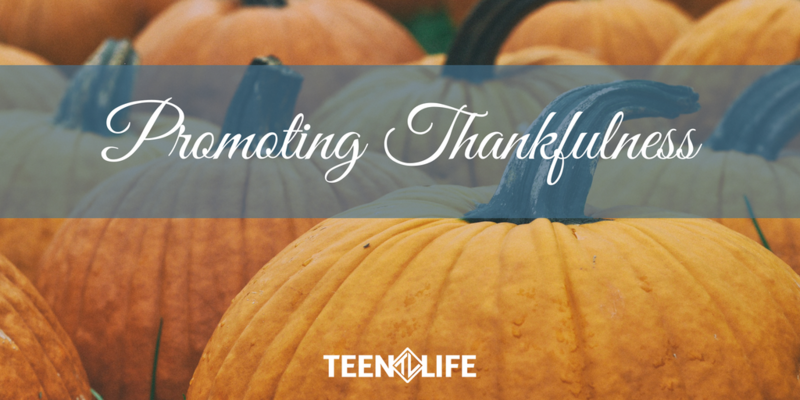 A lot can change in two years…but the importance of promoting thankfulness, especially among teenagers, has not changed! I hope this post still holds ideas and inspiration for this holiday season. But especially right now, many people seem to be struggling with thankfulness. Maybe they aren’t thankful for our recent election, their job situation, the fact that Texas doesn’t have a real Fall…the list could go on and on. But teenagers and our kids are watching us! If we aren’t thankful, why should they be?